Thickness: 87mm - 0.030" 87mm - 0.040" 87mm - 0.050" 87mm - 0.060" 87mm - 0.070" 87mm - 0.080" 87mm - 0.098" 87mm - 0.120" 87mm - 0.140" 87.5mm - 0.070" 87.5mm - 0.080"
Our S50B30 - S50B32 Euro Multi Layered Steel Head Gasket is made with an 87mm bore for compatibility with almost every build. 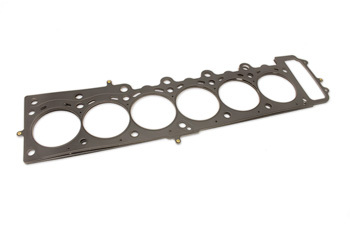 Designed to withstand much higher combustion pressures than the factory head gasket and other conventional or modified head gaskets, our MLS gaskets have been tested to 500+WHP under real world conditions with just the addition of ARP head studs. These gaskets will fit all S50B30 & S50B32 Euro Engines with any bore size 87 and under. Made to the finest specifications and run all around the world on the street and in various motorsports; they are made from a minimum of 5 layers of which the outer layers are coated with a patented type of material to ensure proper sealing of fluids. This design ensures a complete combustion chamber seal and elimination of failure due to weak factory gaskets blowing out under boost or high performance use. These gaskets are available on a variety of thickness' from as thin as .024" up to .140". We use these on every performance engine we build. This gasket is a great way to change compression slightly up or down without having to buy new pistons. PLEASE SPECIFY if other than stock thickness is required. Chose an off the shelf gasket, or select a thickness and bore and we will make it for you! Call or email if you have any questions .070 is the standard and most common size ordered. 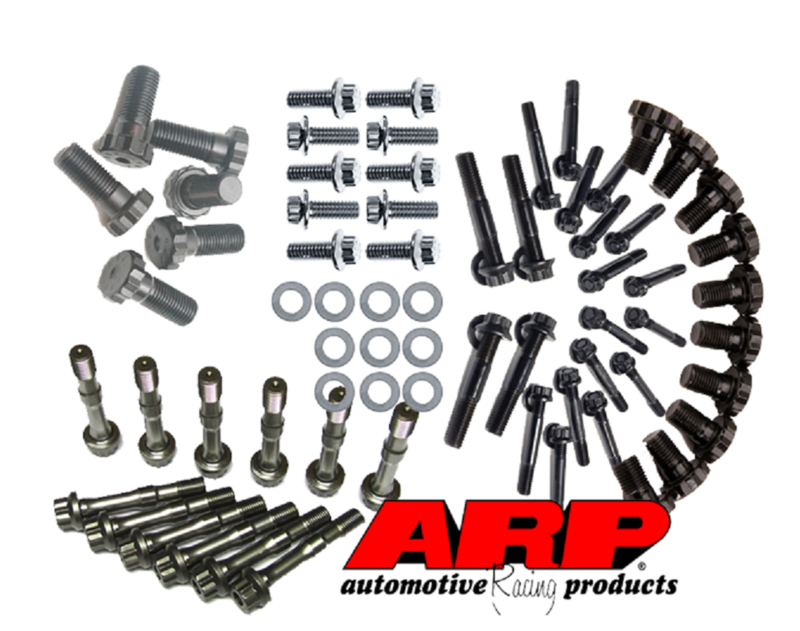 To ensure the best results, we strongly recommend the use of ARP studs when fastening the head to the block. Also, resurfacing the head by a machine shop is highly recommended. Fits S50B30 & S50B32 Euro Engines.